Dubai Airports confirmed on Monday plans to close the southern runway at Dubai International Airport for 45 days in 2019 for refurbishment. The refurbishment is scheduled to take place from April 16 to May 30, 2019, when passenger traffic tends to slow down due to a seasonal lull, the operator said in a statement. The upgrade works are designed to boost safety, service, and capacity levels of the runway. Dubai Airports said the closure of the airport will leave a single runway operating at Dubai International, resulting in “significant capacity reduction.” Airlines will be required to reduce their operations to the airport as a result. Paul Griffiths, chief executive officer of Dubai Airports, said the upgrades are “absolutely necessary” to heighten safety, capacity, and pave the way for more growth. “In the months ahead we will be working closely with Dubai Aviation Engineering Projects, airlines, and other stakeholders to ensure we optimise service and capacity during this period next year and minimise the impact on our customers,” he said in a statement. Emirates airline, whose hub is Dubai International, said it is aware of the planned works, and will adjust its operations accordingly for the period. The carrier said it will be working closely with Dubai Airports in preparation for the upgrade. “We fully support this enhancement to the airport infrastructure, which is key to Dubai’s development as a global aviation hub,” an Emirates spokesperson told Gulf News via email. While the carrier did not elaborate on how it plans to adjust operations, Dubai Airports said in its statement that Dubai World Central (DWC), the second airport in the city, will be an available alternative to absorb affected flights. The airport, which is also operated by Dubai Airports, will be available to absorb charter, cargo, and general aviation operations. DWC is currently undergoing the completion of an expansion programme that will boost its capacity to 26 million passengers a year from around five to seven million passengers. Flydubai, which is also based at Dubai International, said it could not yet comment on the runway closure when contacted by Gulf News. Dubai International’s northern runway underwent a similar refurbishment programme in 2014, during which the runway was closed for 80 days. That closure cost Emirates Group an estimated $467 million in lost revenue, according to its financial statements. At the time, DWC was available for diverted aircraft routes. Operator Dubai Airports said it has provided advance notice to all airlines to plan for flight reductions and schedule planning. The refurbishment project of the runway will involve the placement of around 60,000 tonnes of asphalt and 8,000 cubic metres of concrete to resurface the runway and adjacent taxiways. 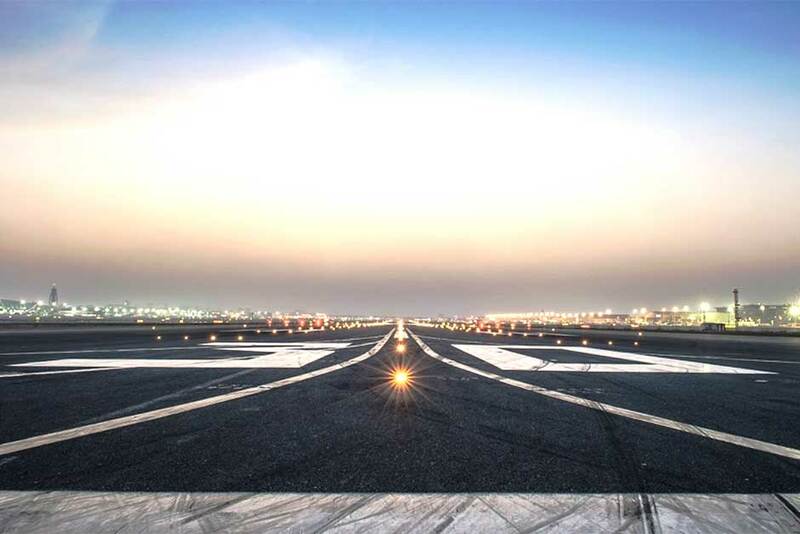 Dubai Airports will also use the opportunity while the runway is closed to install 800 kilometres of cables and replace over 5,500 runway lights with more environmentally-friendly technology. While runway maintenance works is scheduled on a weekly basis, more extensive upgrades require a complete closure of the runway. DXB’s southern runway, which is nearing the end of its design life, requires complete resurfacing and replacements of lighting and infrastructure, the operator said. Dubai International Airport, which is the world’s top airport for international passengers, saw 88.2 million passengers in 2017, up 5.5 per cent year-on-year. With two runways, the airport sees over 1,100 aircraft movements per day, mostly of wide-body aircraft.